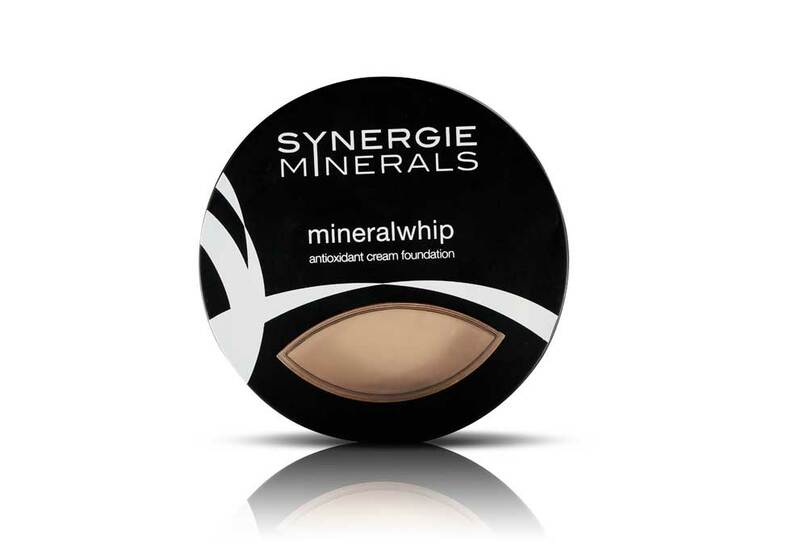 Synergie Minerals® MineralWhip foundation provides creamy coverage and natural UV protection with 40% mineral sunscreen. Fully blendable, this foundation can take your look from sheer to full coverage. Create the base that’s right for you. MineralWhip antioxidant cream foundation provides flawless coverage, natural UV SPF 15 protection and cosmecuticals that benefit the skin throughout the day. The combination of Zinc Oxide, Beta Glucan, Sea Buckthorn oil, Gotu Kola and Rose Hip oil help promote skin health whilst added antioxidants revers free radical cell damage. MineralWhip contains natural minerals and botanicals and is free of potentially harmful additives. Available in five shades and best applied with our Synergie Maxi Brush. Key Ingredients: Zinc oxide and Titanium Dioxide – pure large particle Zinc oxide and Titanium dioxide for broad spectrum sun protection and skin luminosity.